Everyone knows that walking your pet during the dark hours can be a frightening experience. Every year more than ten thousand pedestrians are struck by vehicles in Australia. That is one person every thirty minutes. This glow in the dark collar and lead was created increase visibility and allow drivers to see pedestrians and pooches. These types of collars already exist, but the manufacturers didn't seem to think about what pet owners wanted. Most light up collars on the web are low quality and not well built. This company decided to ask people what they liked or disliked about and discovered there was a big opportunity to create a company around the recommendations from conscious dog owners. Dog owners wanted a funky design that appealed visually. Lots of owners wanted to include a dog light pendant clip as part of the LED flashing system. People wanted the light clip to stay in place when the lead was attached. 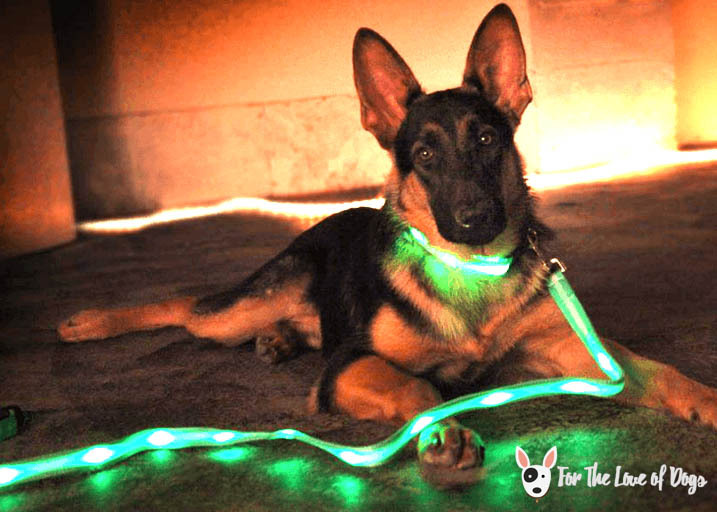 This convenient clip on led light is great for taking your four-legged friend for a night walk. There are three flashing modes, constant glow, fast flash, and slow flash, that are easily changeable. You just simply press the light and it changes between the settings. It is made of a nice water proof rubber type material so you don't need to stress about the weather. It comes with a battery which is convenient since batteries can be quite pricey depending on the type. When the time comes to replace the battery you simply detach the plastic case and take out the LED light component, replace the battery, and assemble it back together. There are no complicated clips or screws to remove making the replacement fast and simple. The only thing I would mention is that the light is not great for smaller sized pups since it is a bit on the bigger side. I would definitely recommend this collar light to any dog owner.